The Save the Bees collection now has a feature piece! 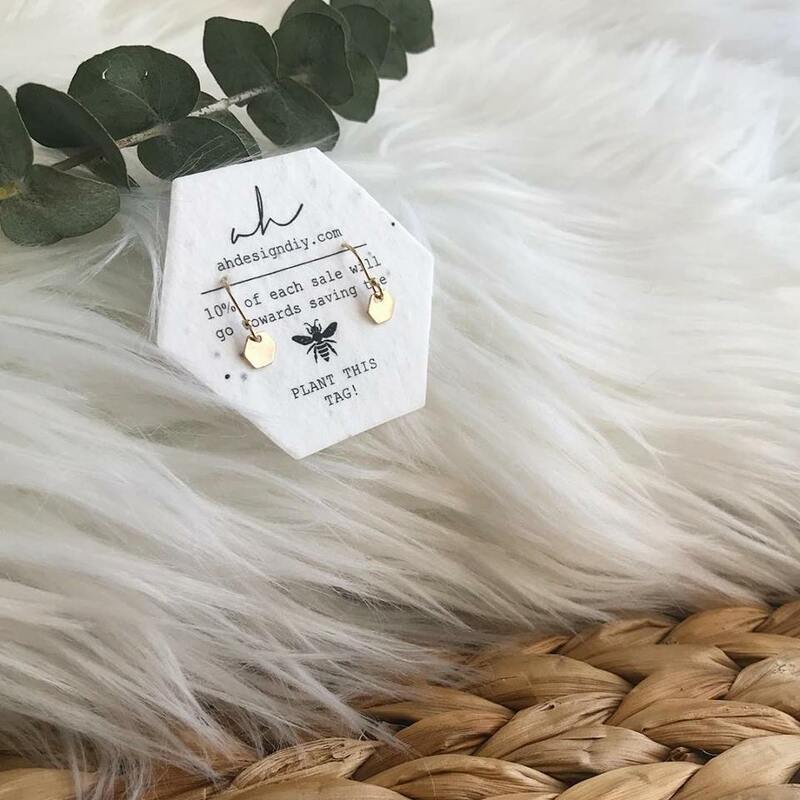 These sweet dangles are available in gold filled in two sizes (6mm and 10mm hexagons) and one size in sterling silver (6mm sterling silver). Get your hands on them for a limited time only! So, what’s so great about sterling silver and gold filled? You can literally wear them in the shower, to sleep, at the gym, etc. and they are extremely tarnish resistant!